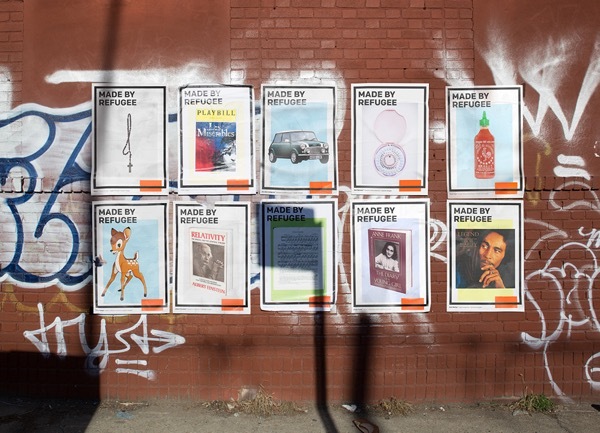 Kien Quan and Jillian Young have been going around stores in New York City and pasting "Made by Refugee" stickers on any products that were created by refugee migrants. Books, food, cars and records have all been adorned. The stickers are available for others to download and share as well. You can download and print a sticker sheet to label products, and follow the campaign’s Facebook page. "This inspiration came from one of my Facebook rants," explained Mr. Quan. "Reading up on the fact that refugees have always been unwelcomed throughout history, I realized that if Vietnamese refugees did not make it over in the 1970s, we would not have the privilege to rave about today’s newest craze, Sriracha. Afterwards, my partner and I just expanded the idea into many more examples."